How do I buy a 1-800 Water Damage Franchise? 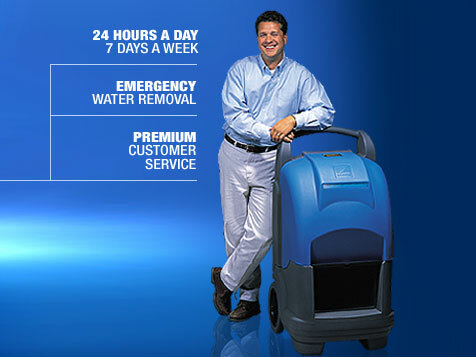 1-800- Water Damage franchise offers residential and commercial property restoration services. To buy a 1-800 WATER DAMAGE franchise, prospective entrepreneurs need approximately $59,00 in liquid funds. This business offers a traditional-style franchise opportunity as well as a revolutionary Managing-Operator model—the first of its kind in the service industry. The Managing-Operator model grants the rights to operate the business without incurring the sole responsibility of all the startup costs. With demand for water damage repair services on the rise, now is a great time to own your own water damage restoration business. 1-800 Water Damage can help you get started with a nationally recognized brand, exclusive territory and more. Become part of the ever growing water damage restoration industry that is grossing over 5 billion dollars annually. With our experienced franchise management staff and comprehensive training program you will receive the tools, expert assistance, advice, guidance and support you need to start and operate your own 1-800 WATER DAMAGE® franchise. Open 1-800 Water Damage in any of these available states: AK, AL, AR, AZ, CA, CO, CT, DC, DE, FL, GA, IA, ID, IL, IN, KS, KY, LA, MA, MD, ME, MI, MN, MO, MS, MT, NC, ND, NE, NH, NJ, NM, NV, NY, OH, OK, OR, PA, RI, SC, SD, TN, TX, UT, VA, VT, WA, WI, WV, WY. 1-800-WATER DAMAGE is the number to call whenever a house, apartment complex, condo, hotel or office building has any type of wet mess. All sorts of everyday problems create a water damage emergency—frozen or broken pipes spew water everywhere; washer or dish washer pumps water to the wrong place; water heater breaks; water supply lines to refrigerator or other appliances fail; toilet overflows; septic tank back fills; ceiling sprinkler system activates; water floods in from an outside source; and countless other incidents where the number to call is 1-800-WATER DAMAGE. In fact, a huge proportion of insurance claims involve water damage! Initial 10 days of training consisting of technical, admin operations, management systems, methods of operations, and marketing. Webinars and online training tools. We can refer candidates to lending sources and leasing programs. We are also on the qualified Small Business Association (SBA) Franchise Registry. This allows candidates expedited loan processing when applying for SBA financial assistance from approved SBA lenders. 1-800 Water Damage is not currently active in our directory, but here are some other recommended selections for you to explore.